Carrot vs. stick: How should Minnesota get to cleaner water? Jerry and Linda Jennissen have been raising dairy cows on this land just east of the North Fork of the Crow River for 35 years. 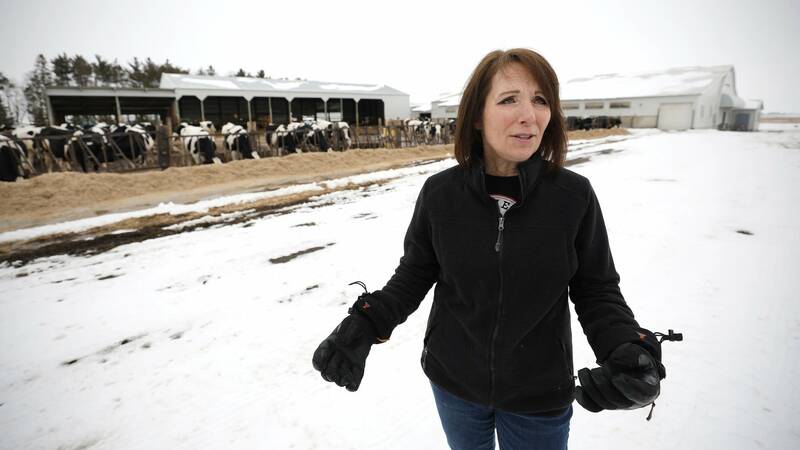 The family runs a successful dairy farm and creamery that sells cheese to stores across the Midwest. 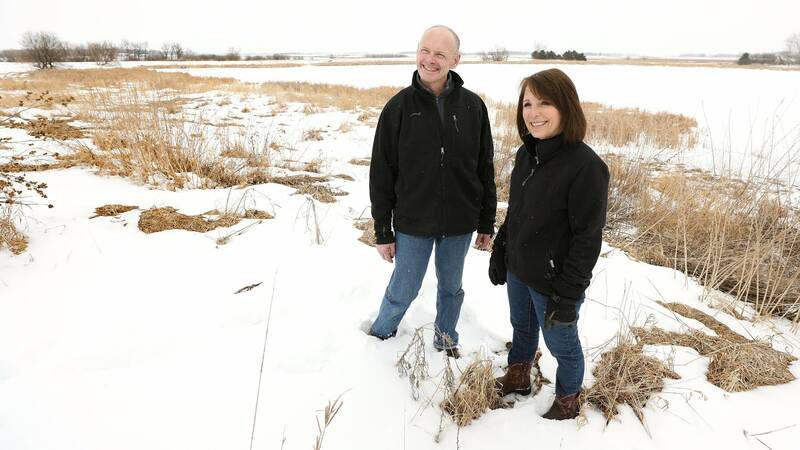 Along the way, the Jennissens took steps to protect water long before anyone told them they had to. They don't use commercial fertilizer, and they plant cover crops like alfalfa that keep soil from washing away. 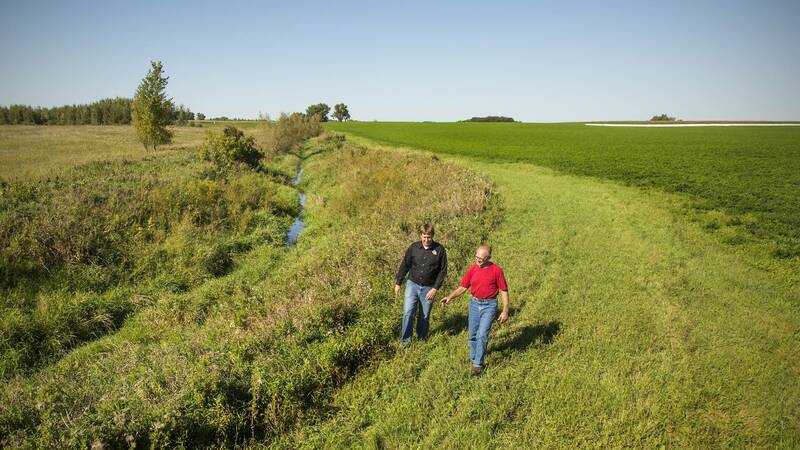 When Minnesota passed a law in 2015 requiring vegetative buffers along public waters to filter out nutrients like phosphorus and nitrogen, it didn't matter much to the Jennissens. They'd already planted one — 15 years ago. "We're constantly being asked why do you do these things? What's your motivation to try to protect the water?" Linda Jennissen said. "My answer is always the same: We do it because that's the right thing to do." Figuring out how to get more landowners to take those kinds of actions has been a big challenge for Gov. Mark Dayton's administration. Water has been a major focus of Dayton's tenure in office. He pushed for Minnesota's first buffer law and held town hall meetings across the state to talk about how to improve water quality. But finding agreement on solutions hasn't been easy. The governor set an ambitious goal of improving Minnesota's water quality 25 percent by 2025. But consensus on how to achieve that goal has been elusive. "I think the 25 by 25 initiative is a great example of how people's desires and their intentions are not yet matched up," said John Linc Stine, commissioner of the Minnesota Pollution Control Agency. Stine said during Dayton's town hall meetings, it was clear Minnesotans agree on the importance of water, but not on policies to protect it. "What I heard from people was they want to make a difference. They intend to make a difference," he said. "How you get the difference to occur is the trick." Part of that trick is finding the right balance between the carrot and the stick — voluntary programs that encourage landowners to take action, and regulations that force them to. • Ground Level: Is Minnesota on the right track for clean water? Dayton has tried both approaches. His administration proposed rules for applying nitrogen fertilizer aimed at cutting nitrates in drinking water supplies. He also started a voluntary certification program for farmers who take steps to protect water quality. But with less than a year left in Dayton's term, there's much work left to be done. About 40 percent of Minnesota's water bodies don't meet pollution standards. There's growing concern about contamination in the state's groundwater, where most Minnesotans get their drinking water. Environmentalists praise Dayton for raising the profile of the state's water problems, but are less positive about whether the 25 by 25 initiative will lead to tangible results. "I give him a lot of credit for having frank discussion," said Steve Morse, executive director of the Minnesota Environmental Partnership. "What I think we're really missing is a discussion about how do we get to our goals." Some clean water advocates argue the state must require action to see real progress. "Those voluntary measures clearly aren't going to get us to clean water," said Betsy Lawton, water program attorney with the Minnesota Center for Environmental Advocacy. "That Minnesota Nice approach isn't going to solve our water quality problems." But there's been pushback to new regulations. The buffer law was controversial among farmers who objected to losing land for production, and was modified multiple times by the Legislature. State lawmakers have introduced measures to block the nitrogen fertilizer rule as well as changes to a water quality standard aimed at protecting wild rice. 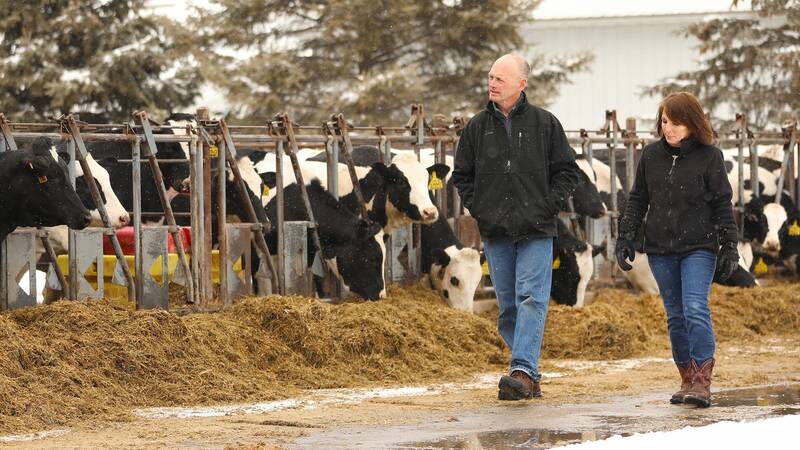 State Rep. Paul Torkelson, a farmer, is one legislator with some reservations about new regulations that single out his profession. "We want to protect water quality just like everybody else does," said Torkelson, a Republican from Hanska. "But sometimes some unreasonable expectations placed on agriculture that seem to focus too much blame on the industry." Morse said it's not necessary to polarize Minnesotans around the issue of water. There are steps that are beneficial to both farmers and the environment, he said, such as diversifying cropping practices away from traditional corn and soybeans to perennial crops. • Report: 2 Minnesota rivers among most endangered in U.S.
"It's not anti-agriculture," Morse said. "It's pro-farmer in providing more options and more crops and new revenue for producers." Jerry and Linda Jennissen say financial incentive programs helped them afford to take water protection measures on their farm. They believe offering more of those incentives would encourage landowners to do the right thing. "When a new program comes up, when a new opportunity comes up to implement something new, we're willing to take a look at that and we're willing to perhaps do that on our farm as well," Linda Jennissen said. MPCA Commissioner Stine said local action, possibly with state funding help, is critical if Minnesota is to make real strides toward cleaner water. "I think a lot of people were hoping there may be sort of a policy initiative that would be like the silver bullet," he said. "The reality is what we heard from people as we traveled around the state is that it's really a commitment to action."